Croatia to meet France in World cup Final, England and Belgium to battle for 3rd place. The 'Vatreni' (Blazers) of Croatia to meet 'Les Bleus' (the blues) of France in final of this ongoing World Cup 2018 at 4pm (West African Time) on Sunday 15th July 2018 in Moscow, Russia as 'The Three Lions' of England and 'Les Diables Rouges' (The Red Devils) of Belgium set to battle for third-place of the tournament on Saturday 14th July 2018 by 3pm (W.A.T) in Saint Petersburg. The Blues secured their place to the final after defeating the Red Devils a goal to nil while the Blazers made their way to Final by defeating the three Lions 2 goals to 1. Also, it is important to note that France and Croatia national teams have previously played each other five times and France has won three of those matches, while the other two resulted to a draw. The first match was played on July 8, 1998 during the World Cup Semifinals and Les Bleus won 2-1 to advance to the Finals, which they won over Brazil. 1. 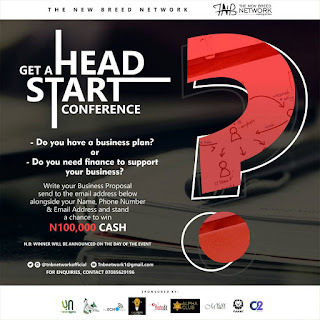 Send your proposal to tnbnetwork1@gmail.com indicating your name and phone no. 2. Register and come for take the lead conference, in which the winner would be announced at the conference. TNB network ( *T* he *N* ew *B* reed network) is a non government/non profit organization with initiatives towards leadership and potential building, career trainings, mentoring, personal development, and productivity in all facets of life via various hands on trainings, conferences and workshop tailored to achieve growth while still having a good time. This platform provides opportunity to meet renowned life coaches, Motivational Speakers, HR Experts and Business gurus across the continent in helping you attain maximum level while realising your youthful dreams. OAU Peeps News Agency learnt Clamours and allegations have been springing up from the faculty of sciences of Obafemi Awolowo university over what is termed "misappropriation of public fund"
OAU Peeps learnt the students of the faculty are clamouring for the dividend of their due paid for the last administration led by Okoli Victor. The embattled former president was alleged on the ground of not providing Freshers" package for the generality of the then part one students that paid their dues during the administration worth of #2,500 each. Today marks the 19th year of demise of our martyrs whose sacrifices generations of Great Ife community keep and will keep enjoying forever. 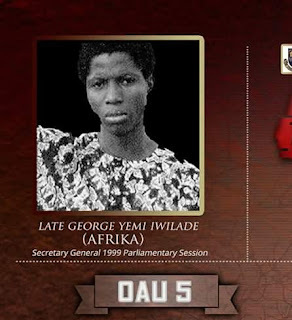 Today, we remember OAU-5; today, we remember George Yemi Iwilade (AFRIKA), the Secretary General, Great Ife Students'Union 1998/1999 session - the only successfully assassinated victim among the conscious students that carried out the arrest of members of Black Axe Confraternity on Saturday, 7 March 1999; today, we remember Eviano Ekemelu, Yemi Ajiteru, Babatunde Oke and Ekpede Godfrey who were victims of July 10, 1999 massacre. The blood they shed forms the basis of freedom Great Ife community keeps enjoying today. Condolence to the family of these heroes. In good memories of these fallen martyrs, Great Ife community will forever be grateful for their sacrifices generations keep in memory. others who were shot in Awo Hall Cafeteria survived. 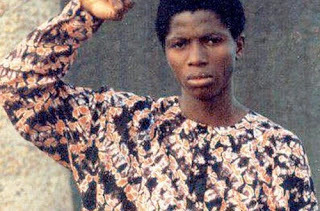 The Obafemi Awolowo University massacre was a series of shootings and murders which took place against students of Obafemi Awolowo University in Ile-Ife, Osun State, Nigeria on Saturday, July 10, 1999. It resulted in the deaths of five people and injuring of eleven, all of them students at OAU. It was perpetrated by an organized death squad of 40 members of the Black Axe Confraternity branch at the university. They invaded the Awolowo Hall of the university at around 4:30 A.M., clad in black trousers and black T-shirts, their faces hidden by masks; they carried and made use of shotguns and hatchets against students. An account of what led to the massacre is given by Prof. Roger Makanjuola's book “Water Must Flow Uphill (Adventures in University Administration)”. Prof. Roger Makanjuola, following the massacre, became Vice Chairman of the university and took an active role in both investigating and punishing those from the university involved in the murders.